This set of books was extremely popular in Japan and it is available in two distinct editions that were published at the same time which are identical in every aspect except for the slip cases, and plastic covered dust jackets in this edition.Since the slip cases have the numbers 43 and 44 on their spine I suspect that this issue was part of a series of natural history books. 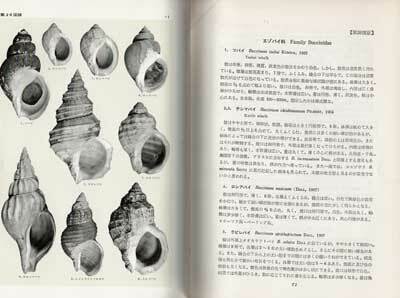 The texts are in Japanese but each volume has an index in which the familiar scientific nomenclature is used. 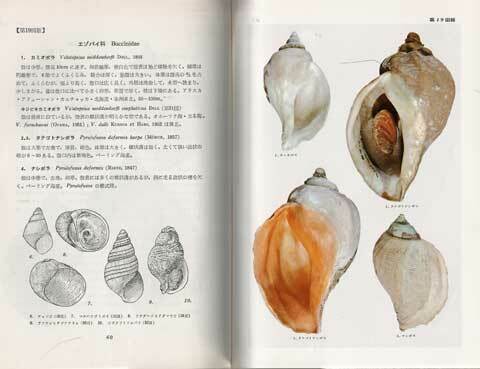 As if this was not confusing enough, the books bear a title almost similar to Shikama's "Selected Shells of the World in Colour" which was published first,in 1963. 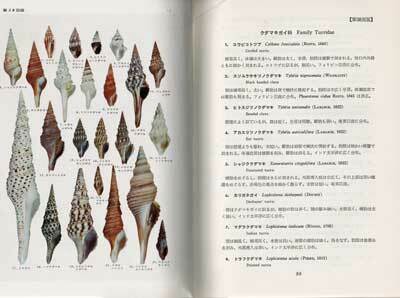 While Shikama's book does cover of worldwide shells, these volumes cover the shells found in the waters off Japan. This is a used set that is in very nice condition. The slipcases show a little wear and rubbing and there are bookplates with the previous owner's name inside of the front covers. 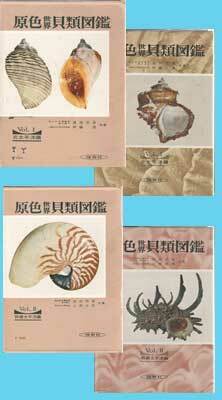 These books formed the basis for the "Shells of the Western Pacific" set by Kira and Habe which were printed in English by the same publisher.